* Star Wars Angry Birds is officially a thing. It’s an undefined thing at this point, nothing more than a teasing animated GIF showing a rotund, cloak-wearing being igniting a lightsaber, with the glow of the Jedi weapon illuminating the unmistakable yellow beak. On any other day, the image would be held up as an undeniably cool bit of fan artwork. This one’s legit though. 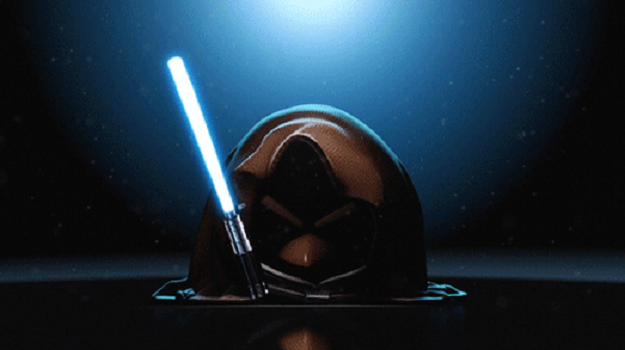 Rovio has some sort of Star Wars tie-in for Angry Birds coming soon, with a reveal hinted at for October 8, 2012, a date also known as “next Monday.” The Force is strong with this one. * Those who purchase Assassin’s Creed 3 on or after its October 30 release will also have the option of picking up a Season Pass that covers all DLC. What makes this particularly exciting is Ubisoft’s reveal of a hefty chunk of that DLC, called The Tyranny of King George. 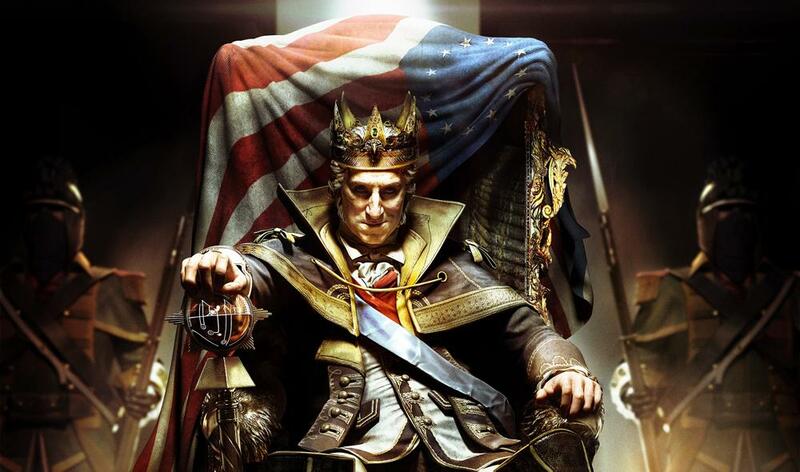 The content amounts to a three-part single player campaign that tells of an alternate history in which a post-American Revolution George Washington went mad with power and declared himself king. We Internet folk have a saying that we use in situations like this: shut up and take my money! * Sony made some big moves this week for smaller screen gaming. 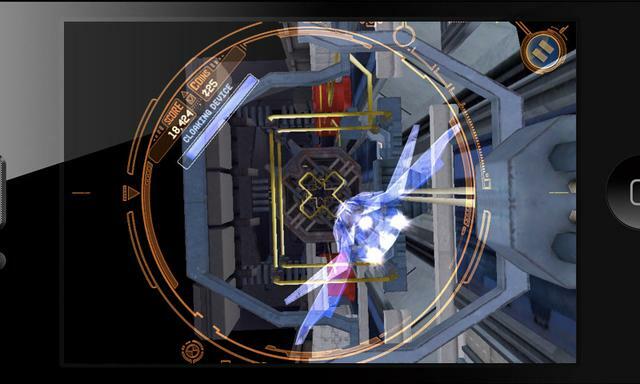 In addition to updating the PS Vita store with a huge number of newly added PSOne Classics — including fan favorites like Xenogears and both Chrono games — the company also went live with its PlayStation Mobile platform. Essentially Sony’s take on an app store, PS Mobile is the new face of PlayStation Suite. There’s now a new section for mobile games like Super Crate Box and Aqua Kitty in the Vita store, but more importantly, PS Mobile titles are all compatible and support cross-platform saves for any PlayStation-certified Android devices. Anthony expressed some skepticism in his report, but I look at this and the new PSOne Classics as an encouraging step in the right direction, at least for the Vita. It’s the strongest piece of portable hardware on the market, and yet the software library is embarrassingly small. Moves like these help to correct that. * Valve promised to bring non-gaming software to its Steam digital distribution platform, and now the company has made good on that promise. Starting this week, a relatively small (but sure to grow) library of software is available for purchase and/or free download via Steam. Source Filmmaker is in there, naturally, alongside items like 3DMark Vantage and Gamemaker: Studio. According to Valve’s Doug Lombardi, the expansion is what Steam customers have been asking for. “We believe that integration with Steam Workshop and these titles can — in some cases — enhance the work of aspiring game designers,” he told us, adding that the future hope is to see non-game offerings pop up on the company’s recently launched Steam Greenlight service. 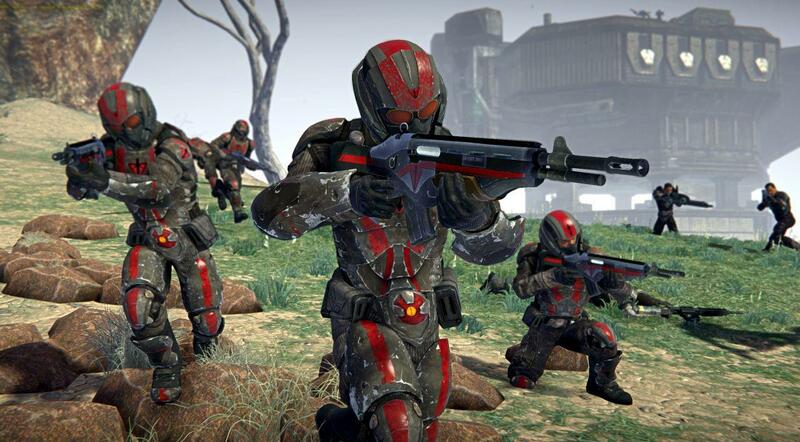 * Sony Online Entertainment revealed the pricing details for its free-to-play first-person shooter PlanetSide 2 this week. In addition to the door being open for anyone to jump in and shoot dudes on a sprawling, distant planet at no charge, there’s also a monthly subscription plan that comes to $14.99 /month. In addition to a monthly allowance of Station Cash, subscribers will also receive bonuses to XP, resource, and certification points. These bonuses will start with a 25-percent boost, but over time that figure will rise to 50-percent for those subscribers who stick around. It’s… unusual. But the game is pretty sweet, as Ryan’s hands-on preview demonstrates. * Electronic Arts is preparing to release its biggest DLC pack yet for Mass Effect 3. Next week on October 9, you’ll be able to nab the Retaliation pack for the BioWare game’s multiplayer mode. Lots of content here, including a new enemy faction, new “hazard” conditions for various maps, additional weapons and classes, and some sort of new challenge feature that awards you points for reaching various milestones. Take a peek at what’s to come in the newly released trailer. Here we have one of those rare Digital Blend recs that climbs past the usual $20 limit. I’m going to allow it for two reasons this week. First, this is a really light week for game releases. And second… because War of the Roses is badass. You know team-based multiplayer shooters like Ghost Recon: Future Soldier? Third-person shooty shooty? 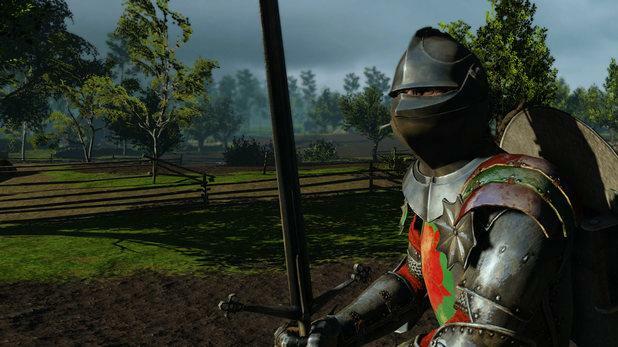 Well War of the Roses is third-person slashy-slashy. It’s Medieval times-set online multiplayer action game. You’ve got swords and armor, bows and crossbows, knights, castles, the whole shebang. Except for magic. This isn’t fantasy. It’s “clang swords together and shoot dudes with arrows” action. Go get it. In an awesome twist, my top pick of the week comes from Nintendo’s 3DS eShop. Cave Story may be old news for a lot of gamers, but this really is a definitive release. The eShop title loses the visual upgrades of Cave Story+, but it adds an assortment of modes from the other releases as well as 3D display support. 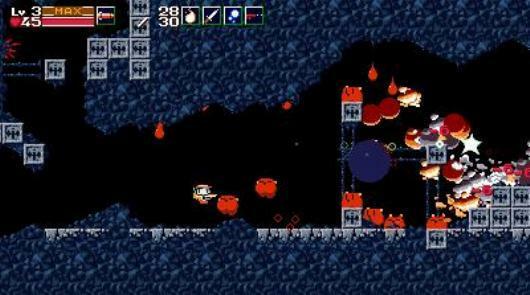 For those who aren’t familiar, Cave Story is a 2D platformer in the vein of Metroid. Studio Pixel developed the original, but the subsequent — and great — ports have all come from Nicalis, just as this one does. Definitely a good reason to whip out the 3DS and fire up eShop. If the first Payback was meant to be a mobile take on Grand Theft Auto, then Apex Designs’ newly released sequel is meant to be a mobile take on Saint’s Row. 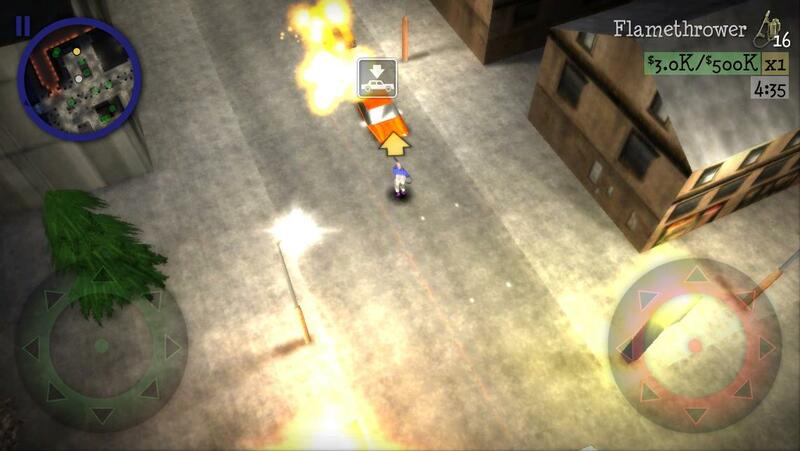 This attractive little iOS game is set in an open-world city, presenting a 3D top-down view of on-foot and vehicular mayhem. Over-the-top craziness seems to be the order of the day in this sequel, with giant-sized multiplayer races, street layouts that would make a city planner nauseous, and lots and lots of explosions. It falls a little bit on the pricier side for this sort of mobile game, but it’s a good time regardless. Zaxxon returns in Zaxxon Escape. Yes, the coin-op classic is back with a totally new look and feel. Visually, you can’t help but notice a resemblance to StarFox. The play, on the other hand, is straight out of Temple Run. It’s great. Perhaps not so strongly connected with its arcade predecessor, but a killer mobile buy for $0.99.